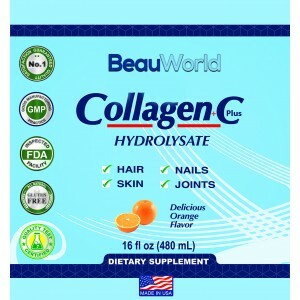 Promotes Healthy Joint Cartilage, Skin, Hair, Nail. 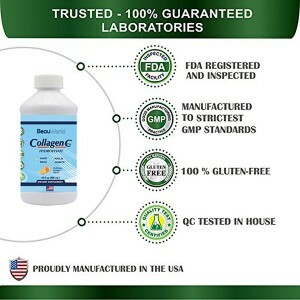 SKIN, NAIL & HAIR HEALTH SUPPORT - An immensely popular ingredient for many cosmetics and personal care products, collagen is also vital for skin, nail, and hair health, reversing premature aging and restoring your lost youthful shine. BeauWorld Liquid collagen supplements allow you to sip your way to younger skin. 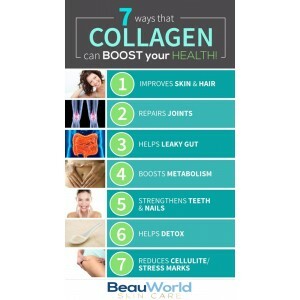 They boost your body's natural collagen production and replenish the collagen you lose during the aging process. -Erases fine lines and wrinkles. 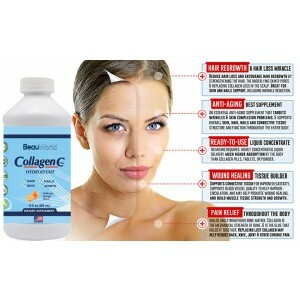 -One of the most well-known benefits of collagen is its ability to promote glowing, vibrant skin. -This essential protein provides elasticity to the skin, helping it to appear more youthful and healthy. But as you get older and collagen production declines, fine lines, loose skin, and dryness can occur. 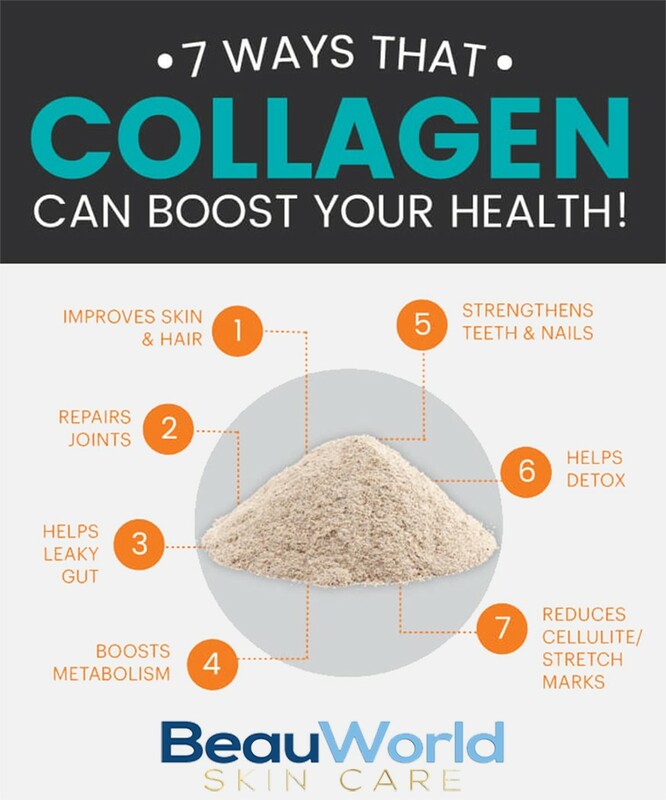 COLLAGEN is an important building block of your skin, bones, and lean muscles. 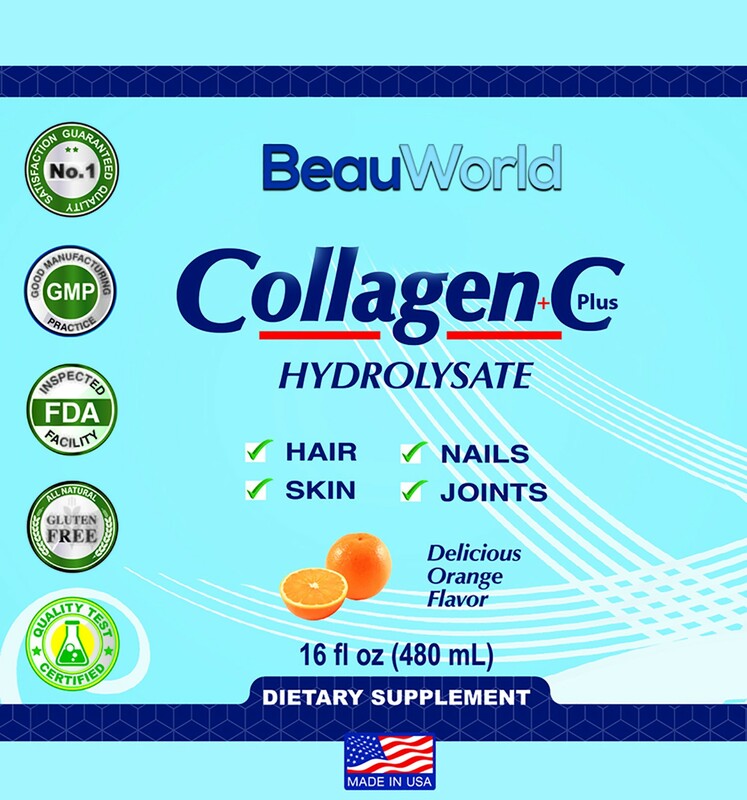 BeauWorld premium collagen hydrolysate affords your body the support it deserves by providing it with an extra supply of collagen, as well as vitamin C.
Erases fine lines and wrinkles. POWERFUL ANTIOXIDANT FORMULA - By containing a generous amount of vitamin C (ascorbic acid), this nutritional supplement boosts the body's ability to naturally produce collagen. 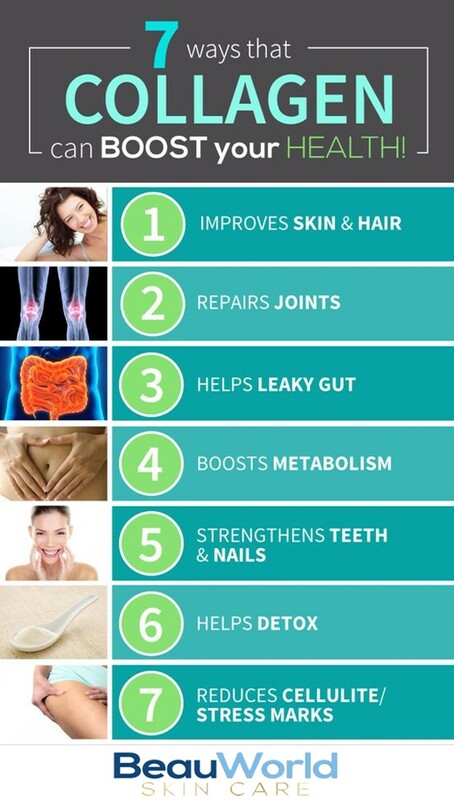 Plus, it's a powerful antioxidant with anti-aging effects! 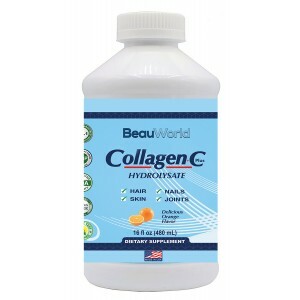 This is collagen in liquid form as part of a drink mix. 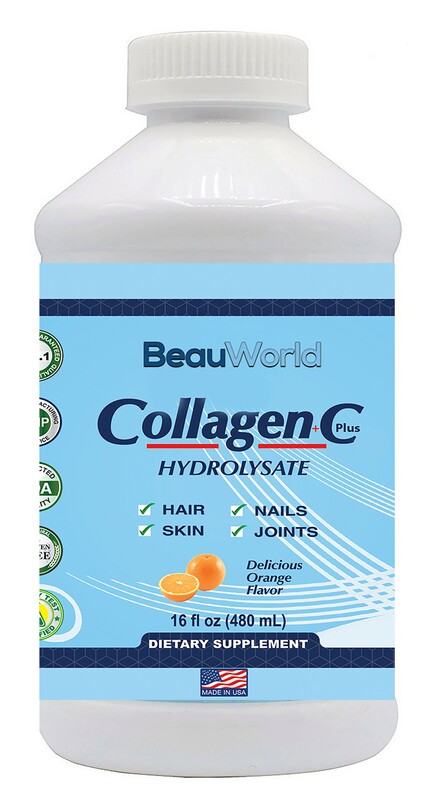 Liquid collagen is the most potent type of collagen supplement on the market today, providing you with the high concentration and bioavailability you need to trigger your body’s wound repair response. 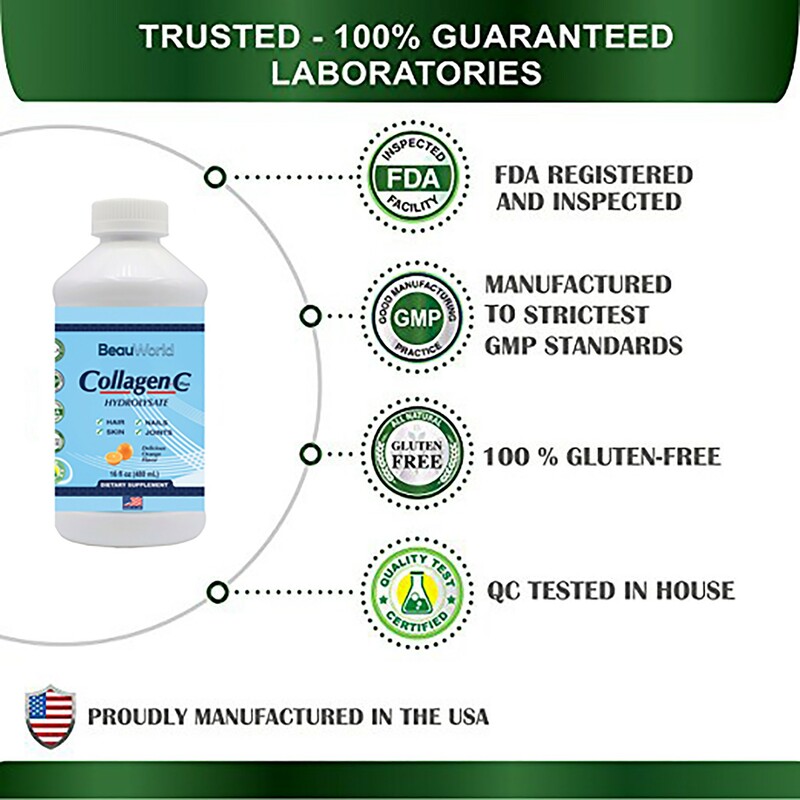 Another plus with liquid collagen is that it is easy to swallow and digest. 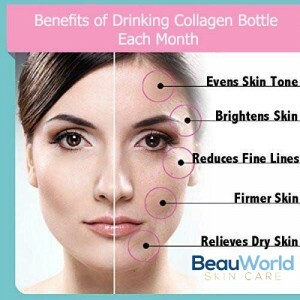 For all of these reasons, we highly recommend that if you are going to use a collagen supplement, you go with a liquid product. 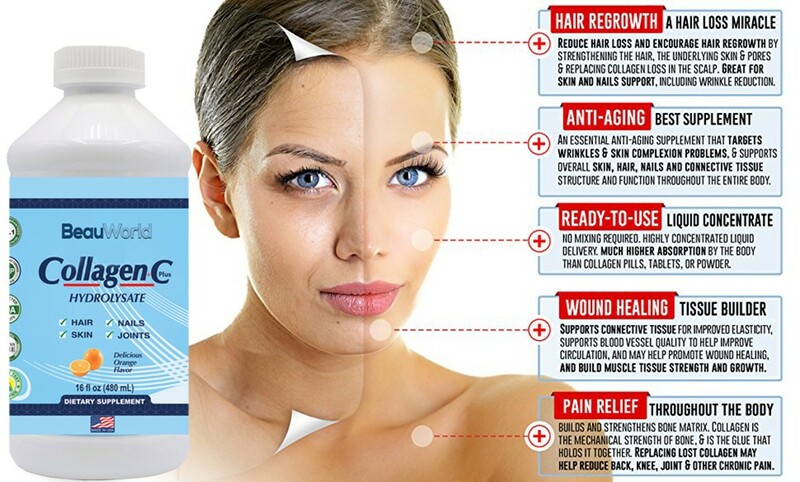 Hydrolyzed collagen. 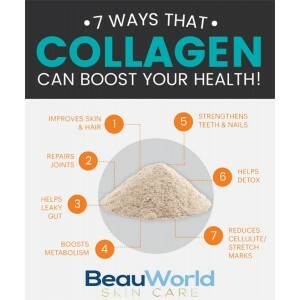 This type of collagen has been broken down into smaller chains so that your body can absorb and use all of the nutrition. All information provided in this email/site is for informational purposes only. 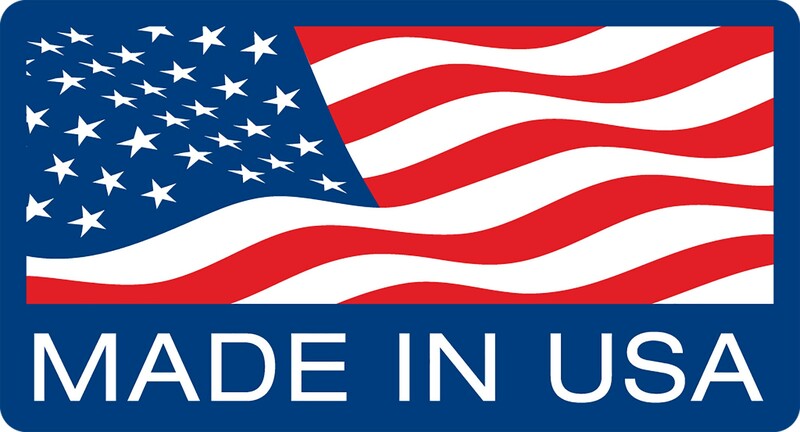 Statements about our products or equipment and any other information contained on or in any product label or packaging have not been evaluated by the Food and Drug Administration (FDA). 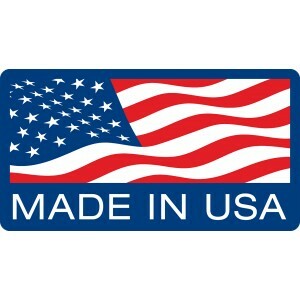 Our products or equipment are not intended to diagnose, treat, cure or prevent any disease. You should always consult with your physician or other healthcare professional before taking any medication, herbal or nutritional supplement.